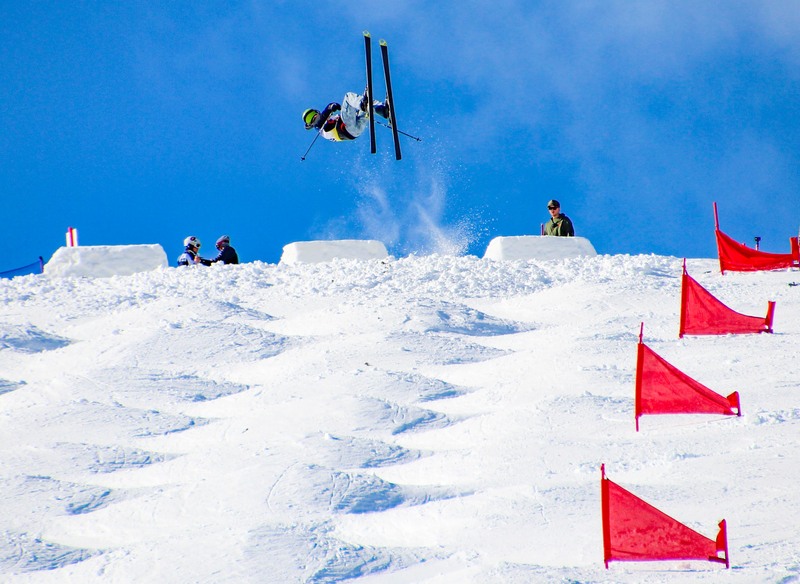 The Freestyle Comp team will focus on perfecting their skills to progress in moguls. Full-time athletes train during the summer months with agility and mobility programs. Trampoline sessions occur weekly, and load-based exercises are performed to prepare athletes for on-snow training. Skill development, “best use practices” of our training facilities, and quality coaching ensure athletes the opportunity to develop their craft. This program also focuses on and educates athletes about nutrition and sports psychology. For the avid competitor who is dedicated to their sport of Freeskiing. 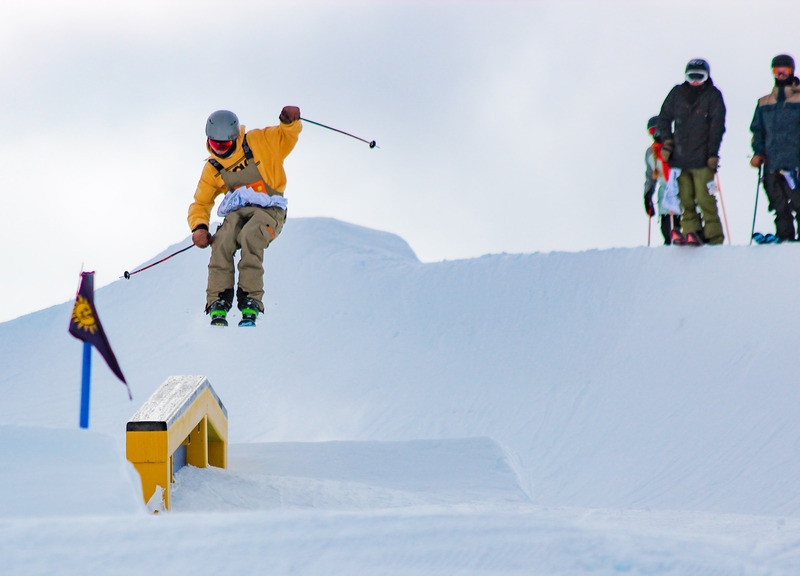 The Freeskiing Comp Team will focus on perfecting their skills to progress in the park and natural terrain. Athletes train during the summer months with agility and mobility programs. Trampoline sessions occur weekly for full-time athletes, and load-based exercises are performed to prepare athletes for on-snow training. Skill development, “best use practices” of our training facilities, and quality coaching ensure athletes the opportunity to develop their craft. Typically this is for U17 - U19 (ages 15-18), but our programs are based more on ability than age--please contact us if you have a question about which program is best. Built for athletes who are dedicated to Freestyle or Freeskiing. Winter: Monday, Wednesday, Friday 1-3 pm; Sat & Sun 9:30 am-3 pm at Bridger Bowl. Primary competitions are Northern Division/U.S. Ski & Snowboard, U.S. Junior Champs, National Championships and FIS/NorAms (freestyle). BSF has a van that picks up full-time athletes at the High School and provides transportation to practice. Team night at Round House & Chalet 2nd week in November with a discount for athletes and parents. A pair of all-mountain skis is required. Select clothing that will meet your need for health, safety, comfort, and function. Layering is a good way to ensure proper warmth. Layers can be added or removed as outside and body temperatures fluctuate. Gloves, helmets, and goggles deserve special consideration, as the extremities get cold very fast. On cold days, neck warmers are a great way to keep drafts out and protect the face from frostbite. An extra pair of goggles on powder days is a smart idea. Team coats are available: your coach will be in touch about orders. Competitions: Parent/volunteer assistance with competitions is needed and is a fun place for parents to learn about freestyle. No experience necessary; we typically provide lift tickets for volunteers who don't have a season pass. Look for info in emails. Baseline testing recommended but not required. In the event an athlete does have a head injury, having baseline testing results on file allows BSF and your doctor to evaluate the injury and also accurately determine when an athlete can safely return to activity. Click here for info. 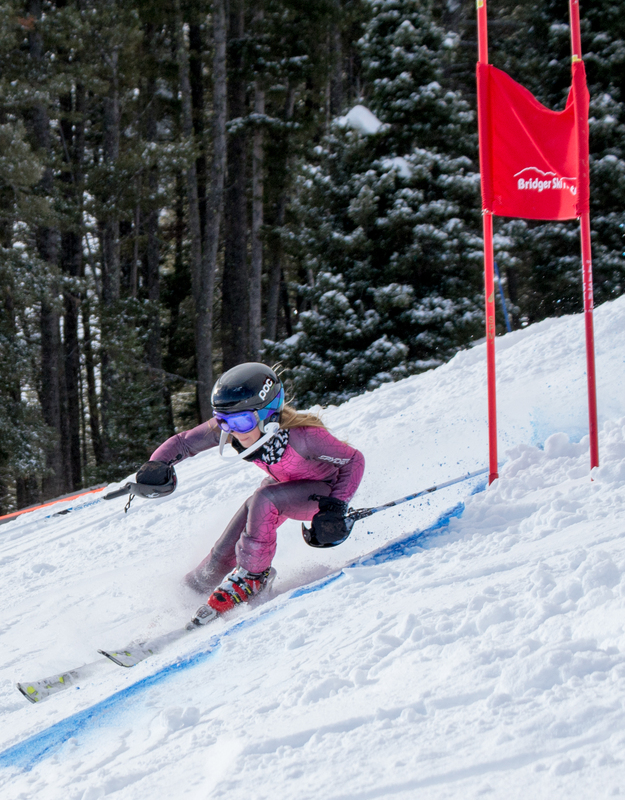 This makes it easy for your child to progress through our programs—from Youth Ski League, the Development Teams, to the competitive teams, and even on to skiing as an adult athlete.